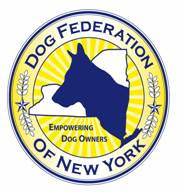 In partnership with My Dog Votes, DFNY registered new voters and provided information on issues for dog-loving current voters . The folks from the American Cancer Society were awesome, the weather was great, and the doggies? They were lovin' it. We met hundreds of new friends and supporters. We don't know about the dogs, but man, we were BEAT by the end of the day! Our message? Amy Sacks of the NY Daily News said it best: Get arf the couch and go vote! Do dog owners in Astoria support Peter Vallone Jr.'s plans to restrict their ability to humanely restrain their pets and ban certain dogs from the City of New York? Do they support backdoor breed bans and negative stereotypes? Astoria residents couldn't sign our petitions opposing Councilman Vallone's proposals fast enough! 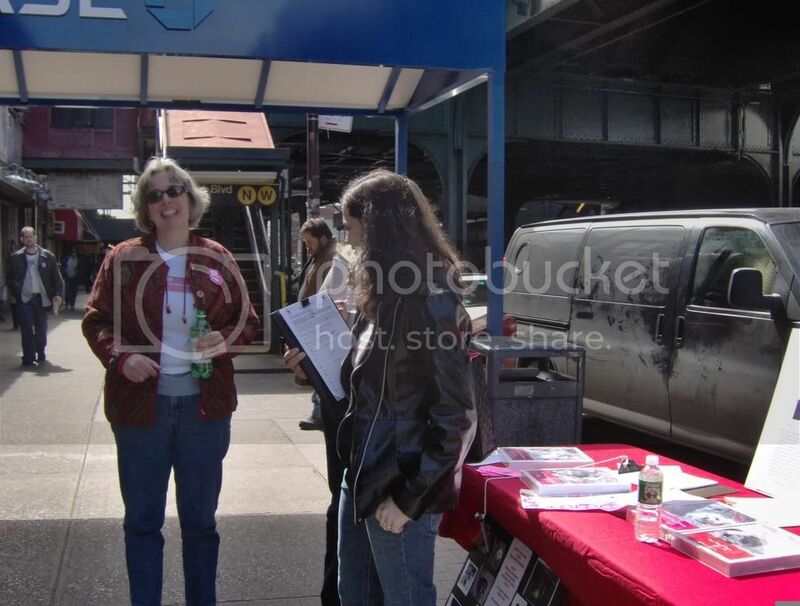 In addition to gathering signatures from area residents, DFNY explained to shocked dog lovers how Mr. Vallone's tethering proposal will negatively and disproportionately impact the lives of New York's many caring dog owners with limited incomes. As Astoria resident and pit bull enthusiast Nancy Silva commented on Vallone's tethering plan: "That's just so the city can make more money." Yes! NYC Councilman Peter Vallone from Queens is unfairly targeting good dogs and good dog owners with unfair and discriminatory proposals! Are you or your dog the “Wrong” Breed??? · Wants to pass a breed ban! 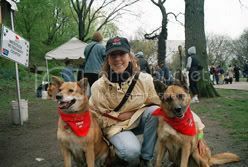 · Profiles dog owners as criminals! · Will subject us to breed discrimination! · Wants to back-door breed bans with anti-tethering laws! Peter Vallone uses fake science to get his way! We need facts, not fear!